My name is Christine, I've recently moved back to Scotland from Australia. I run four massage clinics in the Edinburgh area. Regularly I help people out of pain who are experiencing a wide variety of complaints: Backache, Neck and Shoulder Pain, Headaches, Sciatica, Knee and hip problems, Repetitive strain injuries, Carpal tunnel, Digestive issues and Period pains. I am a holistic massage therapist and use a fusion of eastern and western techniques to get great results. Included in these are deep tissue massage, Swedish Massage, Myofascial release, Trigger point work, Shiatsu, Soft tissue release, Hot and cold stones massage and stretching. 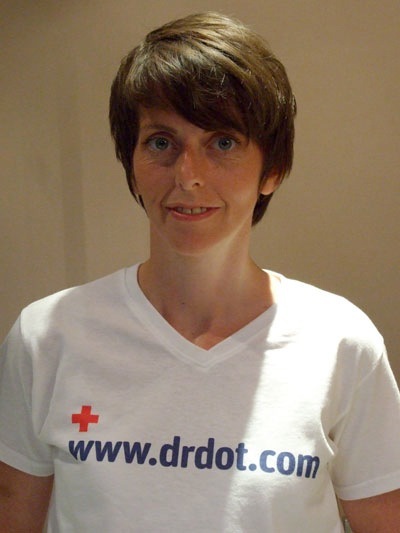 I am really excited to be a Dot Bot as it will help spread the message about how amazing massage is and how good you feel after us therapists have worked our magic!